I began losing interest in Guglielmucci's song a couple weeks after getting the album, when I watched the CCLI TV Song Story of "Healer." I expected what I saw: a flippantly emotional worship story. (I would link to the video, but it seems to have been annihilated from internet existence.) Mike told of how he had been diagnosed with cancer, and that he didn't have very much time to live. So he went home one day and began crying to God, and out came the song "Healer" from start to finish in one take. I admit my disbelief that that part really happened, but what was more striking to me was the story and footage of the night of the recording. If I recall correctly, Guglielmucci spoke of how particularly weak he was before going on the stage, which is why, I assume, he needed oxygen, and that if he was going to get through the song it had to be the sustaining power of God that would do it. 1. Joy fills my heart even more than shock, and there is no disgust or anger, or feeling deceived or victimized, or anything like that. This song has become true, and especially for Mike Guglielmucci. Despite the lies and conniving that might have inspired him to write this song, God had other plans. Could it be that "Healer" was a prophetic cry from Mike's heart that God is now answering? It is nothing less than just that. Mike (and everyone) thought the song was about his physical healing, but it turns out it is really about a restored soul. My prayer is that Mike continues down this Godly path of healing and forgiveness that began with this God-led confession, that he would see the nonsense of experientialism, and that his eyes would be opened to the activity of Father, Son, and Holy Spirit in worship. 2. What does this say about the capacity of each and every one of us to manipulate, emotionally control, use words, actions, vocal inflections, tears, get caught up in the moment, be led by feelings, etc., whether we are on stage preaching or leading worship, or facing the stage being taught or led, or going about our relationships with one another in everyday life? Man is fickle. We are all fakers. The most seemingly honest, tell-it-like-it-is person is still putting on a show. We all give in to the illusions of this world and constantly struggle living and deciphering between what is real and what is worldly. This tension is the nature of the Christian life. Don't fool yourself into thinking you're immune to this problem. Humble yourself like Mike, and fess up. He is in the best place of his life right now, broken, despised by many, loved by God and closer to Him than ever before. Are you? I have no problem singing intimate songs of friendship and love for God when they are located in the truth of who I am (a sinner), who God truly is (the Redeemer), and a true understanding of the Gospel. Like Ryan, I too am uneasy at times with the themes and emphases of many popular worship songs widely used in the Contemporary Church today. If it's not an individual song, it's the combination of songs in a set list that raises flags. This feeling comes when, for example, I participate in a worship service that flippantly speaks of being "God's friend," or how He "thought of me above all." It's not so much that these themes are unbiblical, but rather they must be completed or complemented by other necessary themes, bringing balance to the "Story." I have been absolutely blown away reading Webber's Planning Blended Worship, which Ryan gave me when I visited him a few months ago (book link to the left). I would highly recommend this book to anyone who enjoys the conversations in this blog, especially worship leaders and planners. Webber's book has brought clarity to some of these common feelings described above. He articulates very well some important guidelines in choosing songs and planning musical worship, which I have now begun to use, and which have really helped me to identify what is often missing. 1) Dislocation - In our worship we must be reminded of our fallen sinful nature, as well as our current despair, disarray, or confusion. Many of the Psalms begin in this way, basically saying, "My life is falling apart." 2) Relocation - After we recognize our dislocation the story continues to completion as we are reminded of God's saving action, how He saved us fully through the work of the cross. We can also be reminded of how we have been "relocated" by reciting how God saved, healed, and delivered His people through the Bible, or in the lives of those in history, or in our own congregations. Many of the Psalms that begin in dislocation end in relocation, a remembrance of God's saving action in history, and the psalmist breaks forth into praise. I've found that many classic hymns take this format as well ("Amazing Grace," "Alas and Did My Savior Bleed"). When we incorporate these themes in our worship we are reminded that God has worked and continues to work in our present situations. These terms have helped me realize that it's not the "friend of God" terminology that makes me uneasy, but the absence of dislocation that does. 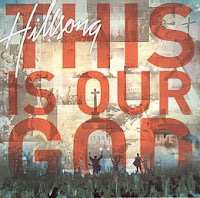 It's one thing to be all happy and jumpy and smiley singing about Jesus my buddy, but the song takes on an entirely new meaning when an honest assessment of our human position as "God's enemies" comes before it. We as musical worship planners cannot forget to include this critical part of our worship, especially in a culture that thinks Christians are supposed to always be happy. 1) How does worship speak to God's glory in heaven and God's saving actions on earth? 2) How does this worship help people identify their dislocation? 3) How does this worship lead people into a relocation with God? The congregation I lead has responded well to an increased emphasis on dislocation followed naturally by hope-filled relocation. People have gone to greater depths in heartfelt praise when they have taken part in the remembrance of the complete story. When leading a congregation I have found that I don't need to point out or explain these themes, but rather simply plan ahead to include them. It's amazing how quickly these threads become the fabric of a solid, worshiping community. Finally, I leave you with Paul's letter to the Romans. Notice how much sweeter the relocation in verse 11 is when it is read in the context of our dislocation in verses 8-10. How much greater is friendship when enmity is first understood? It causes the heart to marvel all the more at the saving work of Christ. 5:8 But God showed his great love for us by sending Christ to die for us while we were still sinners. 9 And since we have been made right in God’s sight by the blood of Christ, he will certainly save us from God’s condemnation. 10 For since our friendship with God was restored by the death of his Son while we were still his enemies, we will certainly be saved through the life of his Son. 11 So now we can rejoice in our wonderful new relationship with God because our Lord Jesus Christ has made us friends of God. For the last three years I have been dancing in the wonder of the Trinity and the role of each Person of the Godhead in worship. According to James Torrance (book link to the left) Trinitarian worship is when we, the Church, "participate by the Spirit in the incarnate Son's communion with the Father." Understanding this has completely changed the way I lead worship. I must warn you now, though, that this post is more theological than practical, and it's kind of hard to put into words, so hang with me. Torrance differentiates Trinitarian worship with two other kinds of worship. First, unitarian worship, as in the worship of theologically liberal "Christians" who view God as unknowable and Christ's relationship with the Father as unique from their own. In other words, Jesus is not divine, but rather His relationship with the Father is just like any other man's. Unitarianism is also the worship of Judaism and Islam, religions with no need for a mediator between God and man. Second, Torrance distinguishes Trinitarian worship from experiential worship, as in the worship of Christians who seek a mere "touch" or "experience" from God, but without a true understanding of their own roles and the roles of the Father, Son, and Spirit in worship. Well, for quite some time I have been so focused on the upward movement of Trinitarian worship - the Spirit gathers us up into Christ's communion with the Father - that I have taken my eyes off of the equally important downward movement of this continuing story, which occurs before anything upward could ever be offered from my part. I'm talking about the Incarnation - (now picture this; diagram it if you must, starting with the Father at the top) the Father loves us so much that he comes down to us through His Son and touches us by the Holy Spirit both individually and corporately. This must happen first. Worship begins and ends with God's love, and we get to glorify Him and enjoy Him because of His initiation and pursuit of us. This downward movement, this perpetual incarnation, is very experiential. However, it is a much different kind of experience than that of a mere emotionally-triggered one, detached from the Word of God and the activity of Triune love. Much of my past was rooted in this kind of hyped-up, drummed-up emotionalism disconnected from the knowledge of God as He is revealed in Scripture and a right view of my sinful condition. In fact, in settings of worship, there was very little interaction with the Bible at all, nor any real acknowledgment of sin. Instead, much time was spent singing and crying and doing whatever was necessary to get "changed" in the "presence of God" by the "power of the Holy Ghost." Not only was my worship detached experientialism, but due to the lack of Biblical exposition and theology of the true God my worship was unitarian. Because I didn't understand the cross - what God accomplished through His Son, which can only be revealed through the Holy Scriptures - I thought I had a direct line to God and that it was ultimately up to me to prove myself, my offering of worship, as pleasing to Him. What "revelation" I did receive was whatever God "spoke" to me in the heat of the emotional moment. I didn't need Christ, the mediating Word, in order to get to God. All I needed what an emotional encounter with the god of my imagination. Okay, heavy stuff, I know. My point is this: I have reacted so strongly, and perhaps bitterly, against my past, that I have discounted anything experiential as false. This is wrong. True worship is completely Trinitarian and extremely experiential. I experience the love of God the Father, as He displays it for me through the mediating sacrifice of God the Son on the cross, and as They send it to me through the loving, comforting, empowering touch of God the Holy Spirit, enabling me to personally and together with the Church express my love for Him, the Triune God, in return. The Gospel in its purest form is our Triune God proclaiming, enacting, singing, and dancing His love over us; it is the Father's embrace through the outstretched arms of Jesus Christ on the cross extended to us in the possessing clench of the Holy Spirit (downward). It is only when we partake of this Triune love that we can worship Him in response, proclaiming, enacting, singing, and dancing this Gospel of love to Him (upward) and to others (outward). This activity is as experiential and as personal as it gets, and, as an aside, I have no problem singing intimate songs of friendship and love for God when they are located in the truth of who I am (a sinner), who God truly is (the Redeemer), and a true understanding of the Gospel. Do you believe this? Do you think it is necessary for every worshiper of God to have this experienced understanding in the core of their being? I fear that this Gospel of Triune love, this foundational belief so vigorously defended by the Fathers and so eloquently proclaimed in the great hymns of the Church, has escaped, or has never entered, the hearts and minds of many in the Contemporary Church and wider church-goers today. Have we worshipers ever moved on to greater things than the Law of Moses and the seeking of signs and wonders? Have we with our unitarian and experientialist worship "spurned the Son of God, and profaned the blood of the covenant by which he was sanctified, and outraged the Spirit of grace" (Heb. 10:29)? Hey, I'm just asking. I leave you with the words that precede this judgment from the writer of Hebrews, and I ask, do we and those we worship with truly, deeply understand that the only way to receive God's love (downward) and to love Him back (upward) is through the shed blood of His Son and the power of the Holy Spirit? For since the law has but a shadow of the good things to come instead of the true form of these realities, it can never, by the same sacrifices that are continually offered every year, make perfect those who draw near. Otherwise, would they not have ceased to be offered, since the worshipers, having once been cleansed, would no longer have any consciousness of sins? But in these sacrifices there is a reminder of sins every year. For it is impossible for the blood of bulls and goats to take away sins. When he said above, “You have neither desired nor taken pleasure in sacrifices and offerings and burnt offerings and sin offerings” (these are offered according to the law), then he added, “Behold, I have come to do your will.” He does away with the first in order to establish the second. And by that will we have been sanctified through the offering of the body of Jesus Christ once for all. And every priest stands daily at his service, offering repeatedly the same sacrifices, which can never take away sins. But when Christ had offered for all time a single sacrifice for sins, he sat down at the right hand of God, waiting from that time until his enemies should be made a footstool for his feet. For by a single offering he has perfected for all time those who are being sanctified. Where there is forgiveness of these, there is no longer any offering for sin. Hey! Worship Leader Magazine just published an unexpected and kind review of reformworship.com! 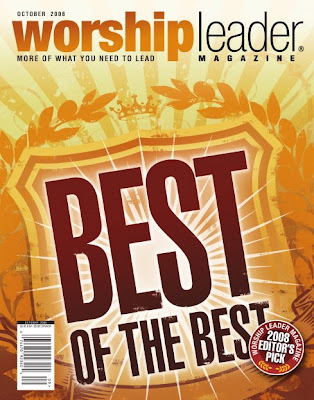 You can find it on page 85 in their October issue, "Best Of The Best: 2008 Editor's Pick Edition," or go here. The other featured sites were Bob Kauflin's worshipmatters.com, to which Ryan and I both subscribe, and Ron Man's worr.org. It is an incredible honor for our blog to be mentioned alongside Kauflin and Man. My personal, heartfelt thanks to Ryan for inviting me to be a part of this weblog at its conception. He has inspired and challenged me in all areas of my life for almost eight years now, especially in worship. This site and discussions around it have been a great tool in that process. Last night we kicked off a new worship event at our church called P.S., which stands for Prayer and Song. The idea came to me while dwelling on my desire to take our people deeper in intimate communion with our Triune God. The way I see it, Sunday mornings are meant for the entire church body to gather together with the purpose of celebrating God, who He is and what He does, in Word and Sacrament (Bible teaching and Communion). Music on Sunday mornings, then, is used primarily as an aid in leading people to receive and respond to these elements. I am not satisfied, however, with that being the end of it, nor do I want our church to think that that's all there is to worship, much less church life. My desire is for this church to be a worshiping community, meaning we are able to really go after God any time, any place. We must break our people out of the checklist mentality: go to church Sunday morning, download some information, fellowship for an hour and a half, and check it off the list for the week. One of the best ways I could think of to begin transforming this church into a worshiping community is P.S. (Prayer and Song). Think of it like the P.S. (post script) at the end of a letter. The main part of the letter consists of a greeting, a body, and a salutation. We all know, though, that oftentimes the post script conveys more emotion, excitement, and passion than anything informationally conveyed in the body of the letter. Isn't it often the case that the post script of a letter is the part that makes you smile the most? Now think of Sunday morning Celebration as the body of a letter. We meet God in His Word and at His Table, but it doesn't end there. The post script (P.S.) invites us to experience God in a deeper way, seeking His face in His presence, putting flesh on what we heard an partook of that morning. Due to the nature of Sunday mornings, at least in our church, we can't go as deep in our worship of God as we want and need to. We need a post script. We need an opportunity to simply dwell in the presence of the Lord; to go after him with everything inside of us, passionately, whole-heartedly. That's what P.S. is. And again, the ultimate goal is for our people to develop a lifestyle of worshiping God with this kind of passion at all times. To further this metaphor, look at the Psalms. 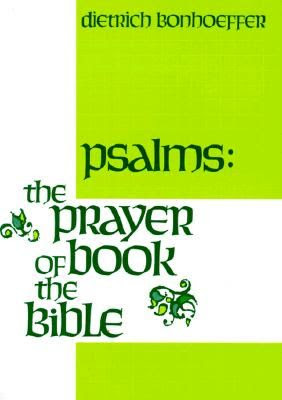 In a sense, the Psalter is the post script of the Bible. In the main part of the letter (everything but Psalms) we read history, laws, poetry, prophecies, stories, doctrines, and other information about God, inspired by Him, of course, and absolutely powerful and essential for faith in Christ. But none of it really materializes in us until it is absorbed, fleshed out, lived, and sung through the Psalms. Dietrich Bonhoeffer says, "It makes good sense, then, that the Psalter is often bound together in a single volume with the New Testament. It is the prayer of the Christian church." It's as if everything before it contains all that we need to know about God, and the Psalter itself teaches us how to get in with God. Without the Psalms our plea for Jesus to teach us how to pray goes unanswered. Luther says, "Ah, there is not the juice, the strength, the passion, the fire which I find in the Psalter. It tastes too cold and too hard." (Yes, he is probably referring to a strong alcoholic beverage.) And yes, if the entire Bible were in letter form, Psalms would probably be the post script, passionately teaching us how to live out everything in the body of the letter. Likewise, if what we do on Sunday mornings is the body of the letter, then P.S. (Prayer and Song) is the post script, a time for us to go after God passionately and unabashedly. Our plan is to have a P.S. night once quarterly, that is until our people simply can't get enough of it, at which time we'll make schedule adjustments. Our next one will be January 4, and we will focus on the Epiphany. The following P.S. will be on Pentecost Sunday, May 31. In the meantime we will be having a few Church Year Family Nights, such as an Advent Night of Carols (Dec. 7), Christmas Eve Service, Ash Wednesday Service, and, I can't wait for this, a Good Friday Passover Seder. Well, I'm off to California with my family and without my computer. I leave you with another Bonhoeffer quote. "Lord, teach us to pray!" So spoke the disciples to Jesus. In making this request, they confessed that they were not able to pray on their own, that they had to learn to pray. The phrase "learning to pray" sounds strange to us. If the heart does not overflow and begin to pray by itself, we say, it will never "learn" to pray. But it is a dangerous error, surely very widespread among Christians, to think that the heart can pray by itself. For then we confuse wishes, hopes, sighs, laments, rejoicings - all of which the heart can do by itself - with prayer. And we confuse earth with heaven, man and God. Prayer does not mean simply to pour out one's heart. It means rather to find the way to God and to speak with him, whether the heart is full or empty. No man can do that by himself. For that he needs Jesus Christ.